O. Henry's Christmas story: The Gift of the Magi - Was it written in a tavern? "The Gift of the Magi" is a short story written by American author O. Henry (the pen name used by William Sydney Porter, 1862-1910). O. Henry's story was originally published as "Gifts of the Magi" in the New York Sunday World on December 10, 1905. It was subsequently published in book form in April of 1906, in the O. Henry anthology titled The Four Million. 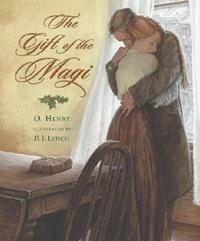 O. Henry was a master of surprise endings and unexpected plot twists, "The Gift of the Magi" is no exception. It's a story about a young couple, James "Jim" Dillingham, and his wife Delia. Jim and Delia reside in a modest apartment in New York City in the early 1900s. Their budget is very limited and they have few possessions. Delia, however, has beautiful, long, cascading hair and Jim owns a shiny gold pocket watch that he inherited from his father and grandfather. On Christmas Eve, desperate to buy a gift for her husband, Delia sells her hair to a local hairdresser for the sum of $20. With the money, she purchases a platinum pocket watch fob chain for Jim. Pleased with her purchase, she returns home and prepares pork chops for dinner. Jim arrives home unusually late and he is stunned by the change in Delia's appearance. She confesses to him that she sold her hair in order to buy a Christmas present for him. Jim then reveals his gift for her - an assorted collection of fancy hair accessories (jewelled combs). When Delia shows him the watch chain, he admits that he sold his precious gold pocket watch to buy her the hair accessories. Although they are left with gifts that neither can use, they realize the lengths they are willing to go to demonstrate their love for one another. 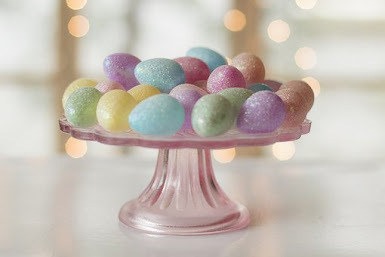 The narrator compares these sacrificial gifts to those of the Biblical Magi or Wise Men. THE STORY BEHIND THE STORY: WHERE WAS "THE GIFT OF THE MAGI WRITTEN?" 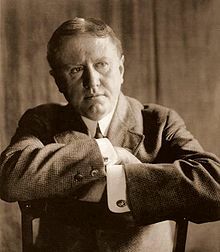 William Sydney Porter, better known by his pen name, O. Henry, was born on September 11, 1862 in Greensboro, North Carolina. For most of his adult life, he lived in Texas. However, not long after the turn of the century, he moved to New York City to be near to his publishers. Most of O. Henry's stories take place during his own time and many are set in New York, including "The Gift of the Magi". 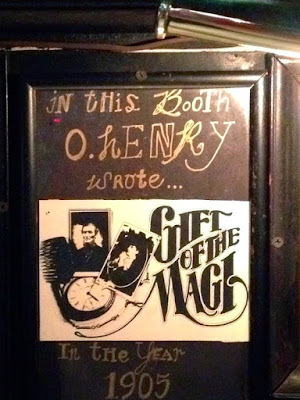 Local legend has it that O. Henry composed "The Gift of the Magi" at a drinking establishment in Manhattan called Healy's. 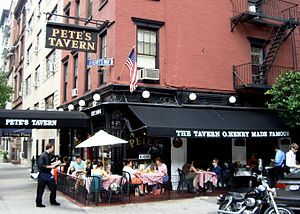 Healy's bar is now known as Pete's Tavern and it is located at 129 East 18th Street, between Irving Place and 3rd Ave. From 1903 until 1907, O. Henry resided at 55 Irving Street and often frequented the nearby pub. Today Pete's Tavern is filled with portraits of the author and signs proclaiming itself to be "The Tavern O. Henry Made Famous." Near the entrance, there hangs a plaque with the following inscription: "In this booth O. Henry wrote . .Gift of the Magi in the year 1905." New York guidebooks have long maintained that O. Henry composed "The Gift of the Magi" at a booth in Healy's bar. It is true that O. Henry lived across Irving Place from the tavern. It is also true that he drank their often; but did he actually compose his famous short story at Healy's? A retired science teacher from Queen's, New York, Richard McDermott, was able to unearth evidence to the contrary, A September 10, 1996 article in The New York Times by Michael Cooper relates that McDermott discovered a book titled The Quiet Lodger of Irving Place, written by William Wash Williams in 1936. Williams, a colleague of O. Henry, revealed that 'The Gift of the Magi" was written in the writer's room. O. Henry was a heavy drinker and by about 1908 his health had noticeably deteriorated. On June 5, 1910, he died in New York City. His death was attributed to cirrhosis of the liver, complications from diabetes and an enlarged heart. He was only 47 years old at the time of his passing. However, despite the sad circumstances of his death, he left us with a literary treasure of short stories. Among them is "The Gift of the Magi." a beautiful and powerful Christmas tale. Sometimes it's difficult to decide what to wear to work every morning. If you need some guidance, this infoqgraphic will provide you with you some ideas about how to create an ideal capsule wardrobe for the office. 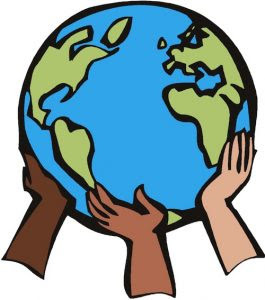 I hope that you will find it informative and useful.